Indulge your Valentine with something special and Bozeman this Valentines Day! Indulge your Valentine with luxurious bath salts, scrubs, and body butter made from all-natural Montana ingredients. Tripp Studio, in Studio #111 at the Emerson Cultural Center, now carries Nature’s Bliss body products, in addition to a colorful selection of jewelry. Artist Kara Tripp’s eye for the beauty of the Montana lifestyle is evident in her oil paintings and the products that fill her studio. Not all of us have the culinary skill to whip up a romantic meal at home, but Bridger Kitchens Kulinary Centre can help. Treat your Valentine to one of their Thursday night cooking classes, and enjoy a four or five course dinner and complimentary glass of wine while learning new techniques and recipes. Bridger Kulinary Centre offers classes ranging from classic French cooking to gluten-free strategies and Paleo delights. More information is available here. Pamper your Valentine with waxing services from Bear Naked Wax Co. Molly Szewczyk is an artist when it comes to brow design and her practically painless approach will have your Valentine feeling rejuvenated, not sore. You can get anything waxed at Bear Naked, so a gift certificate will let your Valentine pick and choose. 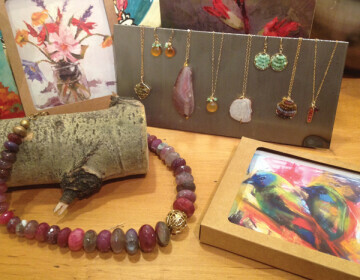 The large selection of handcrafted jewelry at Four Winds Gallery will make shopping for your Valentine simple. Find truly unique pieces to suit any personality and budget. 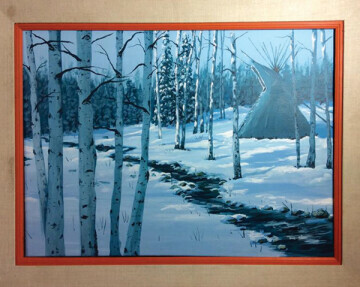 This gallery, in Suite #108 at the Emerson Cultural Center, features the work of dozens of Native American artists, so be sure to browse the entire selection before making a choice. Sometimes the most romantic evenings are those spent at home cuddled beneath a cozy blanket. Movie Lovers has videos that create the perfect excuse to snuggle. Rent a suspenseful movie like Dracula Untold and your Valentine won’t be able to resist getting closer. Movie Lovers, located in the Albertsons shopping center, often has movies available to rent before they can be found on Netflix and in Redbox kiosks. A fragrant glass of wine beside a crackling fire is the definition of Valentine’s Day. Local artisan Hillari Ladd has found another way to enjoy the nectar of the gods. 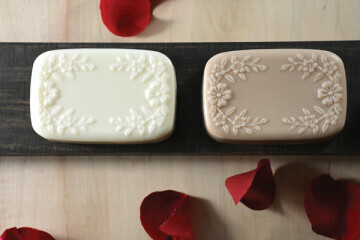 She crafts silky soaps using goat’s milk and Kokum butter infused with red and white wines. Wine two ways is sure to add an exciting twist to a romantic evening at home. Recherch’e Organic soaps are available in Bozeman at Dari Rasa Trunk Show, Loft Spa, the Co-op, Planet Natural, her exclusive line of beer soaps are only at 406 Brewing. Wake your Valentine with the sumptuous aroma of freshly brewed coffee from Wild Joe’s. It’s the perfect complement to a romantic breakfast in bed. If you don’t have the time to prepare breakfast yourself, start Valentine’s Day right by bringing that special someone in to the coffee shop in the heart of downtown Bozeman for delicious pastries and a tall cup of Joe that Wild Joe’s is famous for. There may be no better way to express your love than making something personal for your Valentine. Remind the love of your life how much you care every day by painting a coffee mug or other piece of pottery. Arts on Fire next to Movie Lovers in the Albertsons Shopping Center has a plethora of heart-shaped items that will help you express your affection. If your Valentine is a new parent, melt his or her heart with a plate that features the footprints of your new addition. Set the mood by giving your Valentine a decorative incense burner from the Grateful Shed. A wide selection of incense by Wildberry will help relax away the cares of the day, and the store on West Main Street has several stylish incense burners that will match any décor. Give the gift of health this Valentine’s Day! Big Sky Cleansing’s Revive package is the perfect gift to share with your loved one. It includes two ionic foot spa treatments for $80.00. Ionic Foot Spas are one of the most effective tools for detoxifying and energizing the entire body in a non-invasive and relaxing way. Call Amanda at (406) 404-0951 to find out more about giving the gift of health to your sweetheart.